Together, Schick 33 and HELIODENTPLUS provide an easy solution for high-resolution intraoral radiography that helps you diagnose conditions below the gum line. There are currently no promotions at this time. Please check back again soon or call your local Patterson representative, your local Patterson branch or 1-800-873-7683. Schick DICOM software provides increased reliability, data storage, increased security, and the ability to add hardware/operatories as your veterinary practice grows. 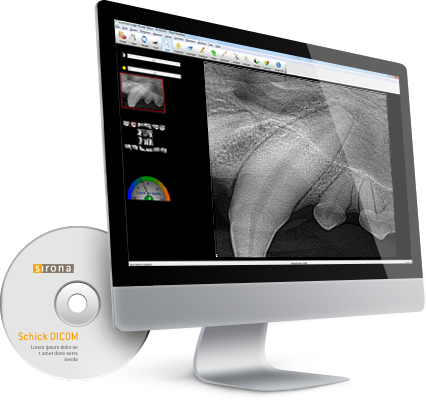 Download Schick DICOM digital software to exchange images and patient data between your devices.